Being a Customer,if i spend money and didn’t get the tasteful service,I will make grievance to the company.Nowadays,the criteria has been changed,customers are basically mindful with the web and the procedures to destroy the business.Customers realize that business is nothing without its clients.If customers don’t get the good service or product in exchange of money,first they ask the company executive to resolve and if got ignored there then they will be definitely going to the complaint websites and posting complaints about the company to aware the upcoming customers as well as to ruin the reputation of that company.So businessman as well as customers both should be aware about these websites.Business need to know to monitor its brand reputation.Customers should know about it to freely speak against faulty services and products. RankMeOnline is a Digital Brand Reputation monitoring tool which helps to get your brand reputation report at one place.It is platform connected with 100+ review and complaint websites,it shows all the complaints posted on different websites at one place in 10 seconds. there are numerous categories in which u may lodge the complaint. Consumer complaints is connected with more than 100 brands where brand’s admin executives can look after the complaints raised about their consumers. It is platform where they can resolve the issues of consumers and after that mark as resolved. If customers are facing problems after taking product or service from any ex company then they want each n every penny be utilised fully. If they felt mistreated or unsatisfied they will post complaints on every possible site. 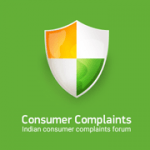 Consumer complaints is connected with almost every big brand, there is a possibility of resolution of their problem after it gets attention on consumer complaints portal. Most user friendly, no need to be a tech savvy for creating online complaints. It’s 100% Free, absolutely no charges for posting your complaint. Sometimes admin who are connected with this complaint website never let your complaint be published and shows any error on backend, which makes customers more aggressive. Business gets another chance to give best. 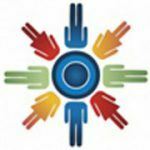 It is platform where consumer comes when they are fed up dealing a company in the search of help. If the business admin acts calmly and resolve the issues of brand, it gives the positivity to other customers also. Can take the followup action. Once complaint is registered regardless it is resolved or not, it won’t get disappeared. It is hardest to convince the admin of this complaint website to remove that complaint. 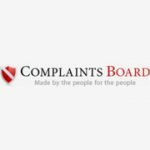 Complaint board is the second complaint website which is responsive too.To submit a complaint one need to mention his/her complaint along with its subject of complaint, category and country of complaint.Email ID and password or Facebook login details is required to complete the complaint registration. Complaints can be easily raised and gets user attention, which helps the consumer to get resolution. Sometimes it gets ignored by the admins too, which makes customers more aggressive. business admin get the attention of actual happening. Admin can give the resolution this time if it was ignored or inability due to any reason,earlier. If complaints get more attention and more clicks by the user, it will automatically get optimised which is bad proven for the company. If any one search for their company it will show up due to optimisation. One can easily lodge complaint, regardless it is a genuine happening or fake. no checks and balances to ascertain what is being put up here. complaints can be removed at discretion. 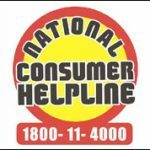 This website has been launched by the Department of Consumer Affairs to create awareness,advise and redress consumer grievances and act as a central registry for lodging consumer complaints. Though all efforts will be made to address these complaints, all complaints may not be fully or satisfactorily resolved. The Department of Consumer Affairs has launched this portal as an integrated Grievance Redress Mechanism (INGRAM) for bringing all Stakeholders such as Consumers, Central and State Government Agencies, Private Companies, Regulators, Ombudsmen and call centres etc. onto a single platform. The portal will also help in creating awareness among consumers to protect their rights and inform them of their responsibilities. Consumers can register online their grievances through this portal. Free to lodge complaints and find the way to resolve their issues. There are no cons as such, there is a possibility of non response or delays in the resolution. It gives the platform to the unsatisfied consumers to raise their issue ,as well as gives business to redress their issue instead of letting them to go spread bad word of mouthing. 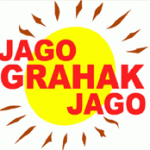 Being responsive on these sites too gives organised and positive vibes about the company. Having excess of complaints can blacklist company ,due to inability to serve their customers. Excess support from government leads to Customers making unnecessary complaints or showing irrelevant non-satisfaction status or faulty services. Competitors can take advantage to ruin other online reputation to seek customers. Incase of Legal matters discussed on these portals can force customers to search any other provider. iComplaints (iComplaints.in) is a platform to create free online complaints using the power of Internet to transform society and organisation. We give a chance to an ordinary people to speak, raise his voice for faulty services or products and get support from others. We provide all tools and a huge community to listen your voice for your online complaints. Creating an online complaint is now a matter of few seconds with just some clicks and correct information you can put your voice to whole world. Create, edit, delete or modify complaints in just few clicks. Easy access control panel to manage all your complaints & comments. There is a possibility of non response or delays in the resolution. Sometimes, your complaints are there as it is, no actions are taken to resolve. Can handle legal and big matters seriously on these platforms. These websites may ask for collaboration charges for hiding complaints from their portal.